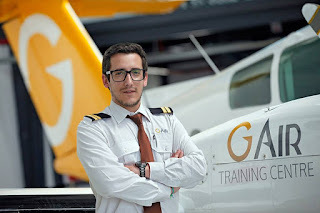 Today I made my last flight as a student at G Air. It was a long way, with ups and downs, but it was worth it! Last chapter of the "saga 0614" in this school. Thanks to Pedro Figueiredo for teaching me how to fly and Captain Vitão Laranjeira for being five stars. Now I have my wings to fly high.